Section GG: Will You Be a Winner or Loser Under PDPM? The new Patient Driven Payment Model (PDPM) has been an important topic of discussion. PDPM goes into effect on October 1, 2019. As it is quickly approaching, do you know what to do to prepare? There is a lot to review and assess, and it is important that you do not wait until the last minute to start your preparation and planning. Currently, there is not much attention being given to Section GG of the Minimum Data Set (MDS). Many skilled nursing facilities have been relying on therapy providers to give them the answers to the test. An assessment reference date is set by the MDS nurse and then the interdisciplinary team fills out their sections. The information for Section GG is then provided by the therapy provider. Since there is no reimbursement tied to Section GG there is less attention given while facilities focus more on getting the rehab Resource Utilization Group (RUG) for payment. This will have to change when the PDPM goes into effect on October 1 because Section GG will now be a huge driver of reimbursement. 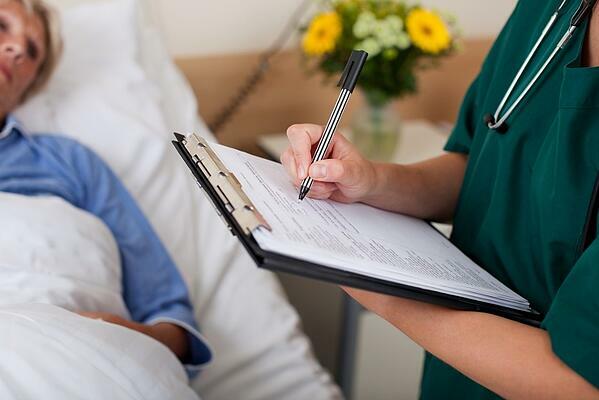 Section GG is to be coded using documentation throughout the medical record that has been documented in the first three days of the resident's Medicare Part A stay. So, as previously stated, facilities are relying on therapy providers for this information, but what if the resident is admitted on a Friday and the patient will not be evaluated by a therapist until Monday? The first three days of the resident's assessment reference period is Friday, Saturday and Sunday. There is no supportive documentation and nursing staff have not been educated enough on the purpose of Section GG and what their role is. If this sounds like your facility, then you have a serious problem. Section GG has to be completed to successfully submit the MDS to the QIES ASAP national database. If Section GG is not completed or is “dashed” then you will get the following warning message: (-3897) Payment Reduction Warning: A dash (-) submitted in this quality measure item may result in a payment reduction for your facility of two percentage points for the affected payment determination. A dash indicates that the item was not assessed or that the information was not available. As the warning code states, not assessing a quality measure item may result in a payment reduction of 2% for the affected fiscal year payment determination. Do you know if your facility has ever received this warning? Do you know that if there is no supporting documentation for each Section GG item, it is likely you will receive a penalty for not having supportive documentation for what was coded? Since Section GG will begin being a driver of reimbursement starting on October 1, 2019, now is the time to provide education to your team. The Recovery Audit Contractors (RACs) and Zone Program Integrity Contractors (ZPICs) will be looking for that supportive documentation when they come to audit your facility under PDPM. The documentation needed for Section GG is going to be different from the current reimbursement driver for Section GG. The Centers for Medicare & Medicaid Service (CMS) RAI Manual includes instructions on how to properly document Section GG. Will you be a winner or loser under PDPM? LW Consulting, Inc. can provide training and education on MDS coding and documentation to prevent penalties and loss in reimbursement. For more information, contact Terry Raser, Senior Consultant at 484-365-2680 or email at TRaser@LW-Consult.com.